Wait for me!' 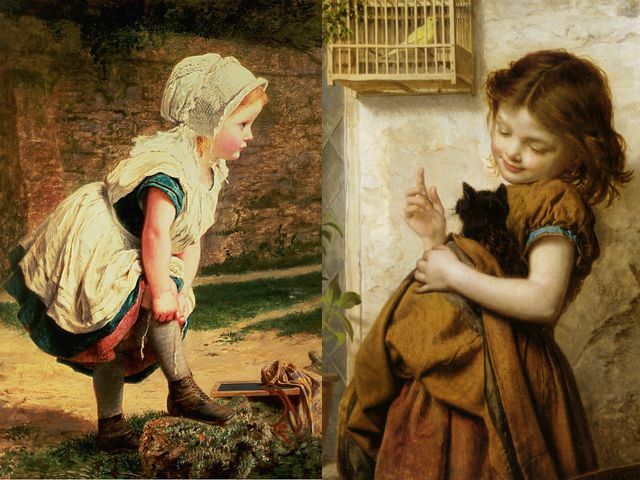 (also known as 'Returning home from school') and 'Her favorite pets' (oil on canvas, private collections), two wonderful paintings of children by Sophie Gengembre Anderson (1823-1903), a French-born British artist, landscape painter and illustrator. The portraits are very realistic and can raise even the bad mood.